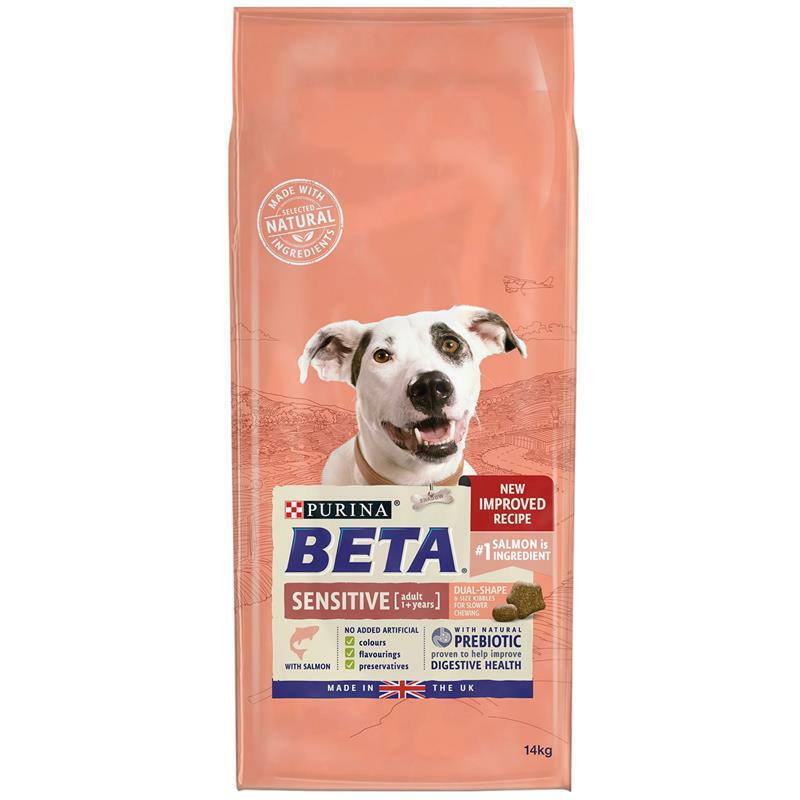 BETA Adult Sensitive Dry Dog Food With Salmon - 14kg. The BETA adult sensitive dry dog food has tailored nutrition, it is specially formulated with salmon, a high quality protein, which helps to support good digestion as well as with omega 3 & 6 fatty acids that helps reduce possible discomfort in your dog's sensitive skin. It is also specially formulated with selected natural ingredients and a natural prebiotic to help support digestive health.